I know, I never post twice in one day but I really wanted to show you a few shots I took on my way home from Kittery, Maine yesterday afternoon. The snow had just begun to fall so I wrapped a small towel around my camera and tried to capture a few pretty images. Shooting in the elements is definitely not ideal though. Just look at this view and you know it's New England. Off to the left you can just make out the Wood Island Lifesaving station. 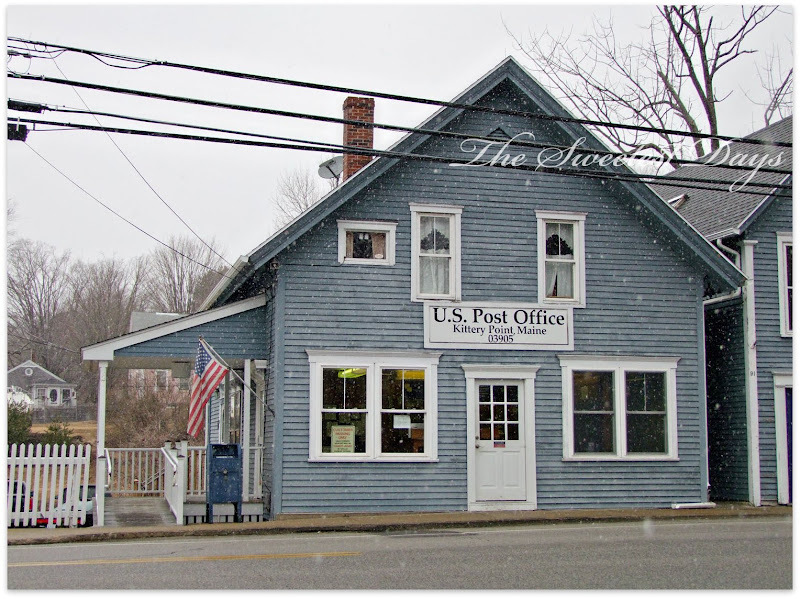 Isn't this little post office the best? Ahh, the good old days. As much as I'd hoped to get out in the big snow we had today, it just didn't happen. The roads were bad and I was feeling lazy. 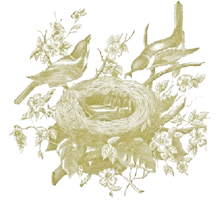 Besides, feeling the Bluebirds, Cardinals, etc. was a full time job! I find bad weather shots are so much more interesting! 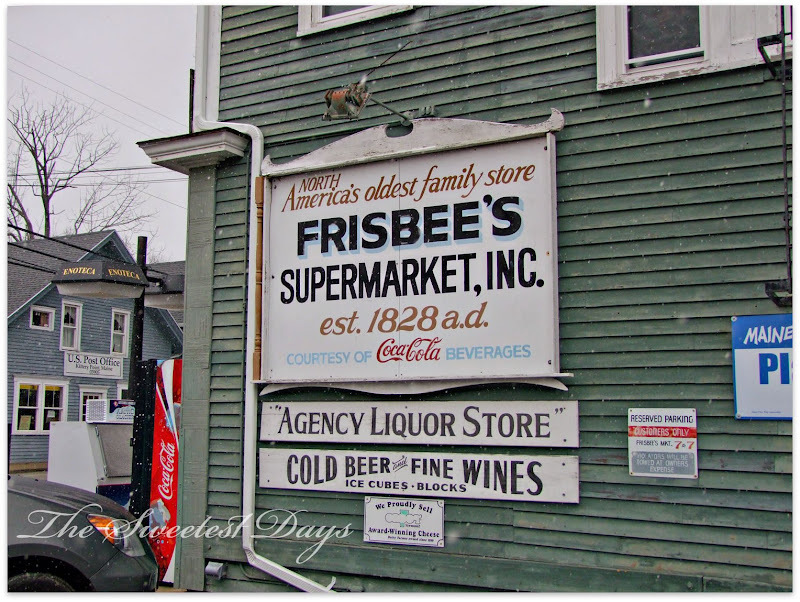 Love these moody Kittery photos. The water looks so peaceful amd the town looks like it is stuck in a time warp, so cool. Great joh on the photos and braving the elements. Maybe in Spring I will take a visit to Portsmouth. It's so different from European villages. I especially love the shot with buoys. Sharon, your images are wonderful! I hope your roads improve quickly. We got dumped on, on Wednesday, but now it's all gone and it's back to rain! Just lovely. The Portsmouth lighthouse with water like glass with the colored lobster traps is my favorite! These are terrific shots! Thanks for sharing! We got to Maine for the first time this summer, and loved! 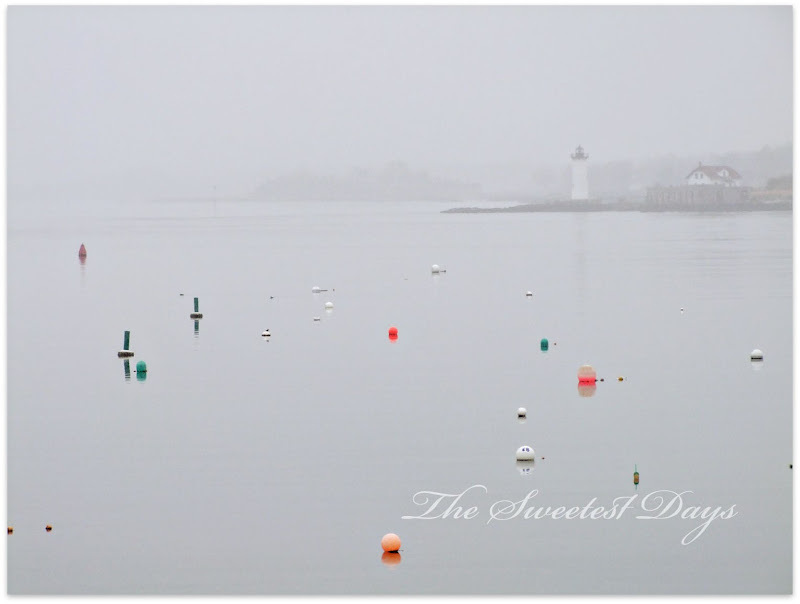 Pretty pics from Kittery...looks like they didn't get nearly the snow we did in Exeter! These are beautiful, Sharon. And you were right to wrap a towel around your camera. I messed up a lens one time when I took it outside during a snow storm to capture the elements. Ever since then, it's been wonky, especially in cold weather for close-ups. 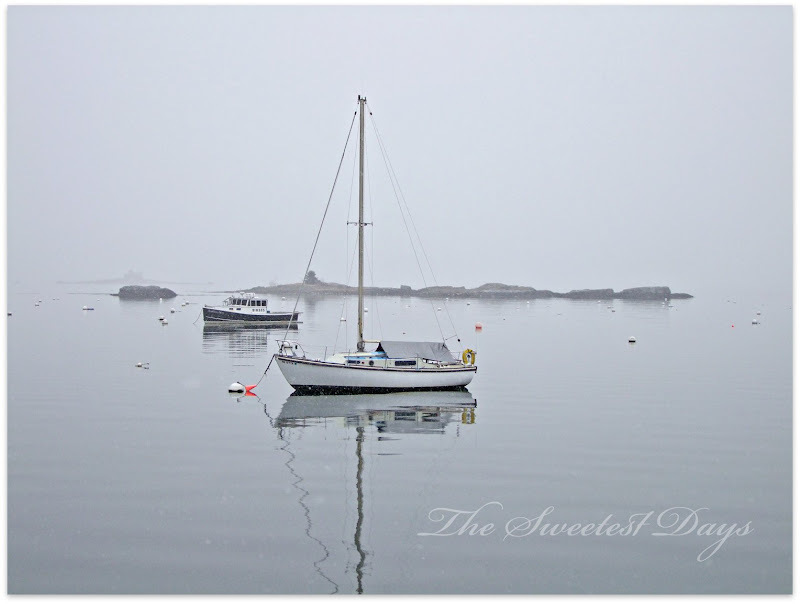 Some day I hope to visit Maine - have always wanted to - and these images make me want to go there even more! Those shots are lovely. I like the way the few color spots in the water shots jump out and the rest of those photos look like they were taken in black and white. Sharon, don't ever stop taking your beautiful photos! Each one is very special. I enjoy your work very much! My, you live in such a beautiful place! I would love to visit New England, I love to read books set there. So glad you braved the weather. Great photos. Hope your husband and daughter are both doing okay. 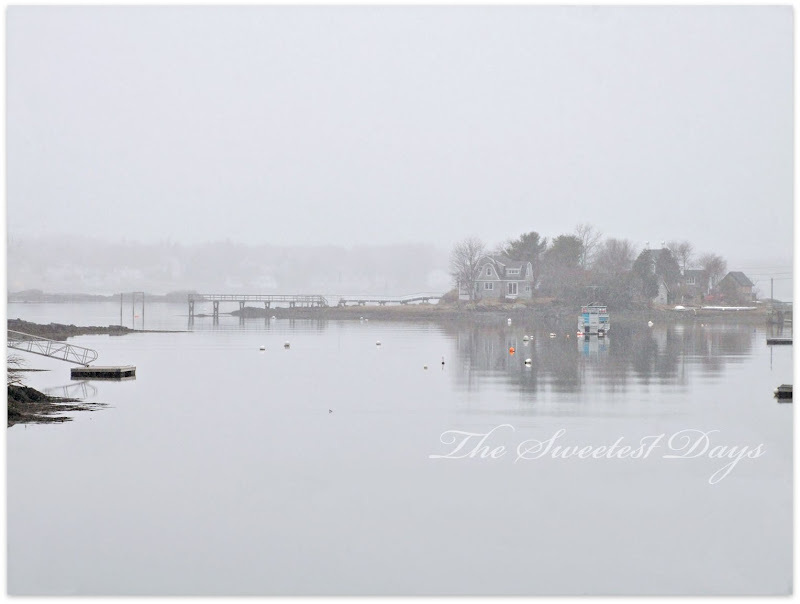 Your photos are so gorgeous and quintessential New England! I love the Kittery/Portsmouth area. That post office is too cute. Great photos! The water shots are amazing and so mysterious. Love the small town feel that you've captured! 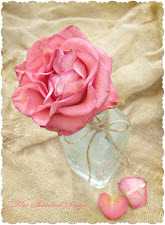 your photos are sooooo beautiful! wow!! !